Run stronger together at the largest all female event of its kind in the world on June 2nd 2019! A group of women came together in Dublin on Monday to launch the 2019 Vhi Women’s Mini Marathon. The event, now in its 37th year, will take place on Bank Holiday Sunday 2rd June 2019 at 2pm. Over 30,000 women are expected to walk, jog and run the 10K route starting in Fitzwilliam Square and finishing on Baggot St. 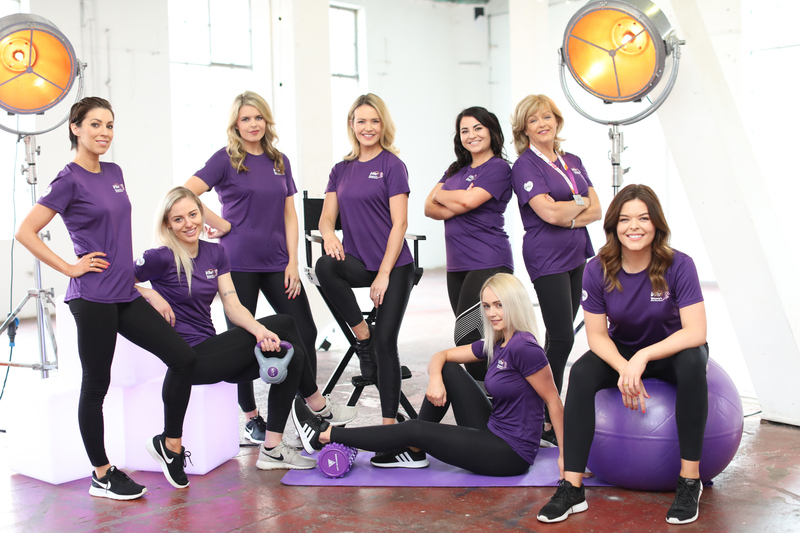 The Garrihy sisters Aoibhín, Ailbhe and Doireann along with mum, Clare, broadcaster Georgie Crawford, fitness enthusiast Leanne Moore, Today FM presenter Pamela Joyce and Dublin Ladies Footballer Nicole Owens will make up the 2019 Vhi Squad and are calling on women all around the country to run stronger together and join them at the largest all female event of its kind in the world this June! In an exciting addition to this year’s event, Vhi has revealed a brand-new finisher t-shirt which will be presented to each participant upon completion of the Vhi Women’s Mini Marathon. Vhi is also reintroducing theVhi Women’s Mini Marathon Member Reward whereby Vhi customers who have paid the €25 entry fee for the Vhi Women’s Mini Marathon 2019 can claim a €25 reward using Snap & Send in the Vhi app. The Vhi Women’s Mini Marathon will have an increased postal entry offering this year, giving women all over the country the opportunity to receive their race number by post. Anyone entering before April 30th will be able to choose the postal entry option, subject to availability. There will also be a number of pick-up points in Dublin and around the country in May, where participants can collect their race number. Carlow women can enter TODAY at www.vhiwomensminimarathon.ie. 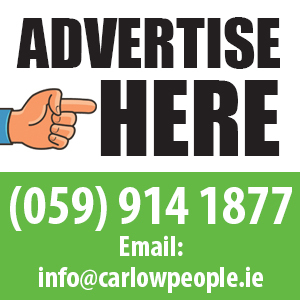 Postal applications forms are also available in The Herald every Wednesday and Saturday. Kathy Endersen, CEO, Women’s Mini Marathon, said; “It’s an exciting year for the Vhi Women’s Mini Marathon. We are delighted to confirm that we are increasing our postal entry option this year. We had a fantastic reaction from participants when we first offered a limited postal offering in 2018, and I’ve no doubt it will prove even more popular this year. “The Women’s Mini Marathon is now in its 37th year. Since the event began in 1983, over one million women have taken part, and I would like to thank and applaud the women of Ireland for continuing to support and enjoy this special event. We look forward to once again welcoming women from all over the country and abroad to Dublin city this June bank holiday Sunday”. Speaking at the launch, Brighid Smyth, Head of Corporate Communications, Vhi said; “2019 marks Vhi’s fifth year as title sponsor of the Vhi Women’s Mini Marathon. We are proud to be part of this wonderful event and in 2019 we are introducing a brand-new finisher t-shirt to celebrate every woman that crosses the finish line and reward their participation. Commenting on her role on the Vhi Squad, Doireann Garrihy said, “We are delighted to be back for the 2019 Vhi Women’s Mini Marathon. This will be the third year Ailbhe and I have taken part and it will be great to have Aoibhín by our side this time around. As for mum, she was bitten by the bug last year and has already started training! “The Vhi Women’s Mini Marathon is a very special event. What I love about it is that everyone has different reason for taking part whether its fitness related, to raise funds for a cause close to your heart or just to enjoy a day out with your sisters, mum, family and friends.“Whatever your reason, joining 30,000 women to walk, jog or run the streets of Dublin in the biggest event of its kind, is very powerful. We run stronger together and want everyone to join us at the Vhi Women’s Mini Marathon on June 2nd”. For further information visit www.Vhiwomensminimarathon.ie or follow us on Facebook at www.facebook.com/vhiwomensminimarathon or twitter @VhiWmm / #VhiWmm.